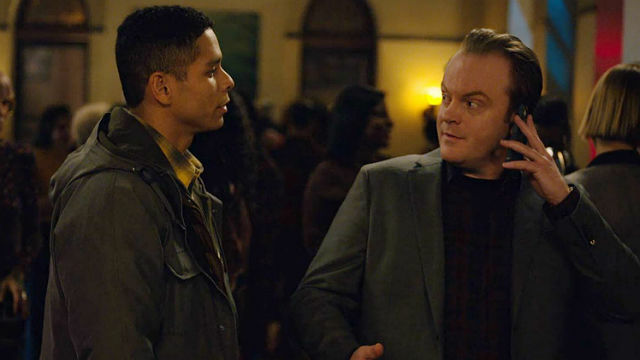 In the previous episode of Netflix’s Russian Doll, Nadia invited Alan to her party to talk. In Russian Doll Season 1 Episode 5, Alan shows up at Nadia’s party, where they sync up their timelines. When Alan arrived at the party, they discussed what they thought was happening to them. Nadia believed the bathroom door was a black hole. Alan believed it was a purgatorial punishment for being a bad person. Nadia rejected this notion and challenged everyone at the party to tell her if they thought she was a bad person as a birthday gift. While Alan’s theory wasn’t proven in the episode, we did gain another clue about how the loop worked. Alan and Nadia seemed to be dying at the same time, and they’d both died fifteen times. At the end of the episode, an AC unit fell on them outside of Alan’s apartment. Nadia tried to correct her past mistakes with John and his daughter, Lucy. When they were dating, Nadia was supposed to meet Lucy but backed out. She was also going to give Lucy a book, Emily of New Moon. Nadia went home with John, but in the morning, she decided to pick up the book, which she had left at Ruth’s apartment. After Nadia’s mom died, she lived with Ruth, and Ruth had a box of her old things still. However, after finding the book, a gas explosion killed them. Since the next death afterwards was still a gas explosion, Nadia decided to look for the book at Ruth’s that night. Ruth shot and killed her, thinking she was a burglar. When she came to at the party, Nadia told Alan she worried about how the loops affected the people in their timelines. She resolved again to make things right with John and Lucy. However, when she approached them at breakfast, she decided to back out for Lucy’s protection. Alan noticed Mike at Nadia’s party. He confronted him throughout his loops as he hooked up with different women each time. Mike pointed out that Beatrice had chosen not to be with Alan, instead of choosing to be with Mike. Alan wondered how he was so confident. After encountering Mike at the party, he would get drunk and die his way home, either by a biking accident or mace-induced asthma. Though Alan survived the night during the last loop of the episode, we don’t know how. Also, Alan discovered that Boba Fett was missing. 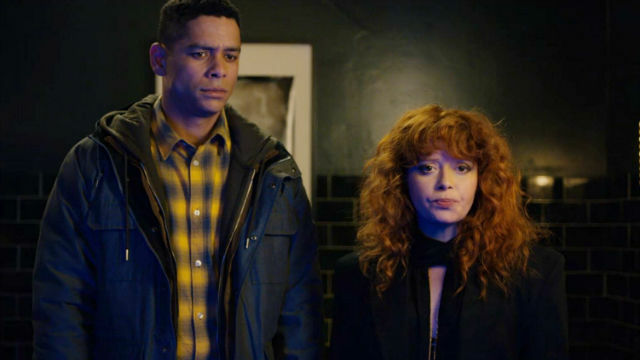 What did you think of this episode of Russian Doll? Let us know in the comment section below! 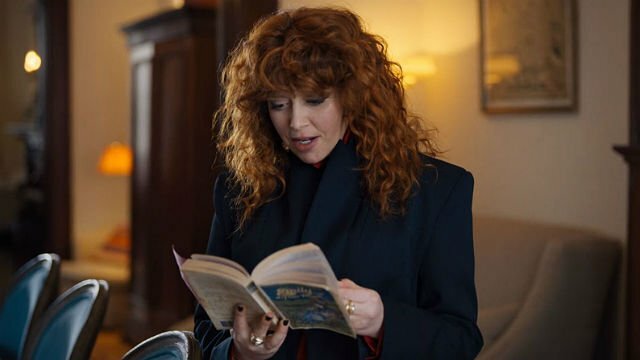 The post Russian Doll Season 1 Episode 5 Recap appeared first on ComingSoon.net.